NON-GMO, Dairy-free, Gluten-free & more! I love that this is one of the few products that is safe and deff. under toxic metal levels as compared to many others! I started taking 2 daily for joint inflammation/pain and it took a little over a month, but it was well worth the wait! My holistic pain management doctor recommended this site and I’m so pleased with the research of these products! Especially this product. Don’t forget to take it with peanut butter or olive oil to help absorption and avoid stomach issues because of the black pepper. I learned the hard way! High absorption is no lie! Tumeric with bioperine (black pepper) is the difference between feeling results n wishing you didn’t waste your money. I started feelin less inflammation in my shoulders, where I have bursitis. It took about 3 weeks, but its better than taking all those pills with side effects. Lupus health shop has done their research. the price and reliability on the companies ingredients and effectiveness is amazing! I love that I can view all of the info on doctors best products with 1 click! Doctor’s best is really the best when it comes to reducing inflammation and protecting your body and brain from all of the effects of Lupus. I take 2 a day for about 3 weeks now and started noticing my knees and feet don’t swell as much! I love that Lupus health shop carrys products that have safe ingredients and from good sources. I know I’m really getting a good deal when I come here, so I can’t help but support them only! I ordered this product about 3 weeks ago and am starting to feel a such a relief from inflammation. I’m still waiting for what everyone describes using this, but I know it takes time. I super happy with it so far! I have leg pains, sciatica and knee pain from L5-S1 herniated disc. This was recommend by a family member who is a doctor. I feel 50% better, I sleep without pain. I will defiantly take it everyday until I get the maximum benefits! I’ve had arthritis many years with progression overtime. 3 days of taking these and I can tell a difference. 3 weeks later, getting out of bed with a lot less pain and less pain throughout the day with more productivity. I’m looking forward even better results over time. This is the best price I have found for mixed tocopherols yet. I use this everyday to help skin,bladder, and heart health. It’s a great product with a great price. Ive tried multiple brands and didn’t feel great. This is a game changer. My antibodies have decreased after 3 months of taking this. My joint inflammation and pain is so much better than managed that I’m not taking any added Rx anymore. The brand of product makes a huge difference! Really happy with this brand. My hands aren’t as stiff and are not as inflamed after a day on my phone and on the computer at work. I have Lupus and fibromyalgia. I have been on this for 3 months so far. It’s my go-to for preventing daily aches with Lupus and is better than bensylata for treatments. I am obsessed with Lupus Health Shop! They know their stuff! Clean ingredients, made the right way so that it actually does it’s job – no joint pain or inflammation anymore. I’ve tried a few different companies but this is by far the best! Best tumeric I’ve had and I’ve tried a couple different brands. Some made my stomach hurt with or without food. Some felt like it didn’t work well. This has a great ratio of ingreidents and it works! No pain! FIGHTS FREE radicals which can help protect tissues and cells. When your tissues and cells are protected from free radicals, that means your organs work better and are less likely to experience complications. Kurien et. al recently published a study in Lupus Science & Medicine, 2015 where they used ultra-soluble curcumin and turmeric in the animal model of lupus. Here the solubility of curcumin in water was increased by 35 folds using heat and pressure. 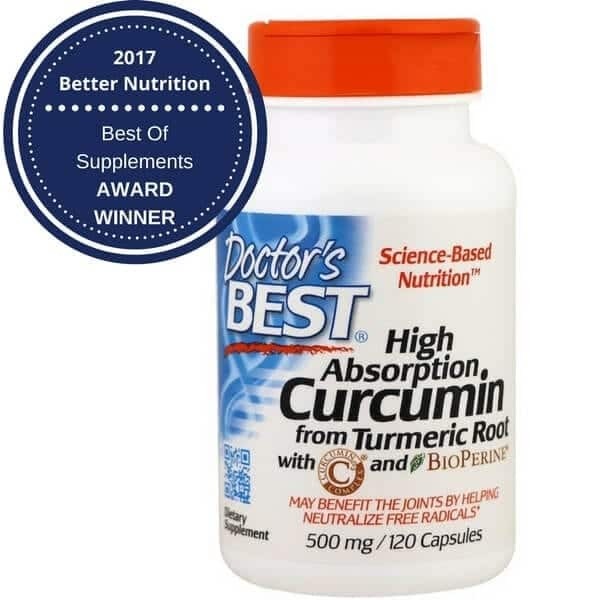 Curcumin reduced lesions, production of autoantibodies, prevented an increase in lymphocytes (the type of white blood cells), reduced kidney damage and protected salivary glands. Curcumin and turmeric increased the survival rate. Why Does Doctor’s Best Have A QR Code On Their Product Bottles? This code provides a direct web link to the specific product you have questions about. Scan the QR code with your smartphone or tablet to read clinical trials, sourcing, ingredients, how each product works in your body, and why it’s important for your health. Free radicals are pesky cell-damaging materials. They are byproducts of cell metabolism. Antioxidants are what protect your body from free radicals damaging your organs and tissues. Best if taken with healthy fatty foods to increase absorption. For example, peanut butter, almond butter, avocado, coconut oil. Microcrystalline cellulose, sodium starch glycolate, magnesium stearate (vegetable source), silicon dioxide, modified cellulose (coating).This product contains natural ingredients that may vary in color. Warnings: Keep out of reach of children. As with all dietary supplements, consult your healthcare professional before use. 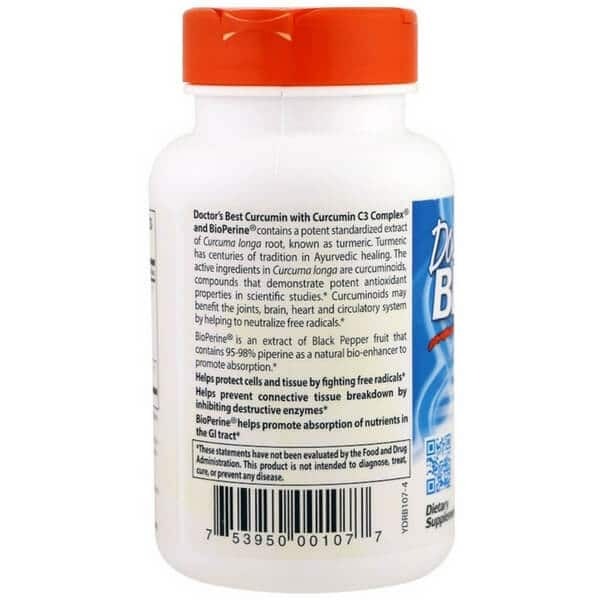 See for yourself why Curcumin with Bioperine is helping many Lupus survivors, order today! *These statements have not been evaluated by the FDA. These products are not intended to diagnose, treat, cure, or prevent any disease. Anything said on this website is not intended to diagnose, treat, cure, or prevent any disease. See our terms and service for more information. 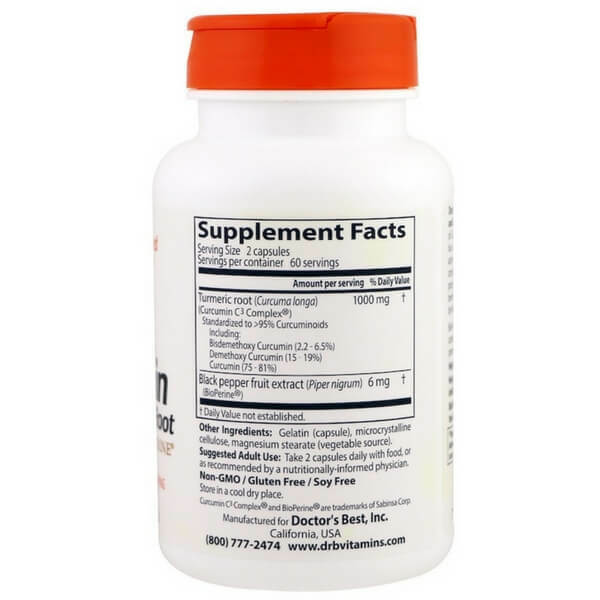 As with any dietary or herbal supplement, you should get advice from your healthcare practitioner for the use of this product.If you are nursing, pregnant, or considering pregnancy, you should consult your healthcare practitioner prior to using this product. Keep safe and out of the reach of children. While Lupus Health Shop strives to ensure the accuracy of its product images and information, some manufacturing changes to packaging and/or ingredients may be pending update on our site. Although items may occasionally ship with alternate packaging, freshness is always guaranteed. We recommend that you read labels, warnings and directions of all products before use and not rely solely on the information provided by Lupus Health Shop. *The products and the claims made about specific products on or through this site have not been evaluated by Pro Health Brands LLC or the United States Food and Drug Administration and are not approved to diagnose, treat, cure or prevent disease. The information provided on this site and correspondence provided from Lupus Health Shop (email, social media, chat, phone, etc. )is for informational purposes only and is not intended as a substitute for advice from your physician or other healthcare professional or any information contained on or in any product label or packaging. You should not use the information on this site for diagnosis or treatment of any health problem or for prescription of any medication or other treatment. You should consult with a healthcare professional before starting any diet, exercise or supplementation program, before taking any medication, or if you have or suspect you might have a health problem.